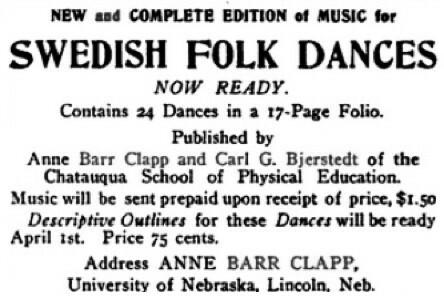 Collection of Swedish Folk Dances. 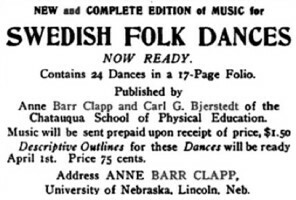 Music for Swedish folk dances arranged and published by Anne Barr Clapp and Carl G. Bjerstedt, Chautauqua, New York, 1908. 17 pp.